Click on "Edit Form" below, under Request FOS Presentation. Add questions on the "Questions" tab and edit the message that pops up after a form is submitted on the "Thank You Message" tab. Forms can be sent to a single email address or multiple email addresses (separated by commas). To change email address, click on "Settings" below, scroll down and click on the "Notifications Settings." The DE and district membership chair email addresses should both be listed under "Email Address(es) to Receive Form Submissions." The field director's email should be listed under "Notification BCC Email Address(es)." After the DE receives the submission, they are to input the information in the council Access database for printing. The membership chair should ensure that all packs submit a form. In addition, please make sure that the information on the Units tab is accurate. 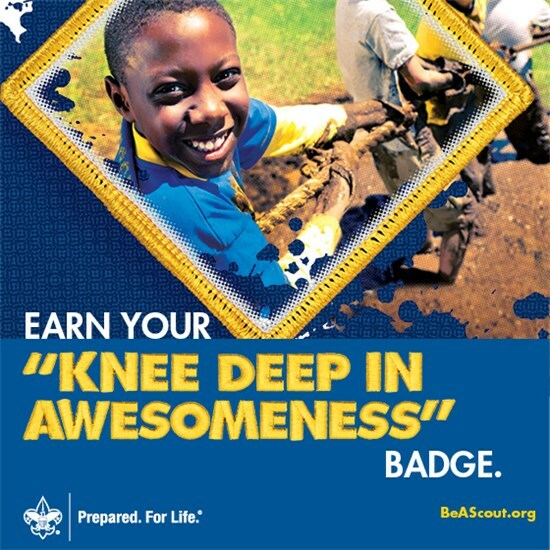 and encourage units to update their pin at www.BeAScout.org. The website collects the forms submissions which can be viewed by a user with edit permissions. In edit mode, click on the "Administration" link, then on "Submission Data." Data can be exported to Excel or Word. Submissions can also be viewed by clicking on "View Submissions Grid" or "Browse Submissions." The data should be deleted after the recruiting season is over by clicking on "Delete All Form Submission." Packs are encouraged to hold spring recruiting events. Recruiting events can be any sort of fun activity that would entice elementary-aged youth to check out Scouting. This can be simply inviting potential recruits to an already scheduled summer pack activity, or it can be a separate event focused primarily on recruiting. 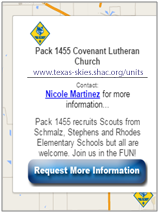 Invite newly recruited Scouts to attend day camp and pack summer events. Sometimes we think we can only recruit in the fall, but spring is a great time to get new Tigers and their families involved early. The council provides a variety of support materials for your pack, including flyers. Packs are encouraged to hold spring recruiting events. Recruiting events can be any sort of fun activity that would entice elementary-aged boys to checkout Scouting. This can be simply inviting potential recruits to an already scheduled summer pack activity, or it can be a separate event focused primarily on recruiting. Invite newly recruited Scouts and kindergarteners to attend day camp and pack summer events. Sometimes we think we can only recruit in the fall, but spring is a great time to get new Tigers and their families involved early. The council provides a variety of support materials for your pack, including flyers. When ordering fliers for schools, please plan on about 15 fliers per classroom for 1st - 5th grades (since about half the class is boys).